A great gift for any member of your wedding party. 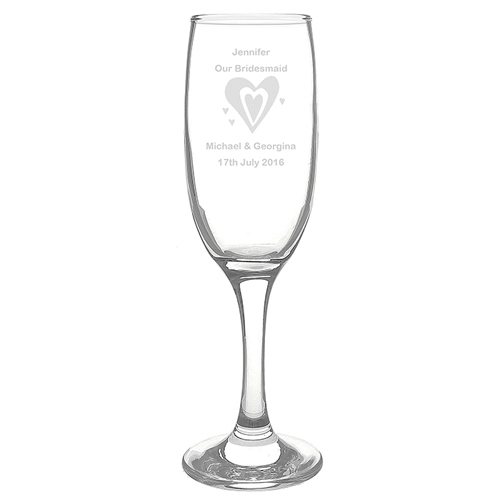 This lovely champagne flute can be personalised with the guests name up to 12 characters, the guests role up to 20 characters, the couples name up to 25 characters and lastly the date up to 20 characters! It also features a flutes motif.